Repairs | R.J. Kates Co.
Our team of service technicians have over 80 years of experience troubleshooting and diagnosing equipment problems. 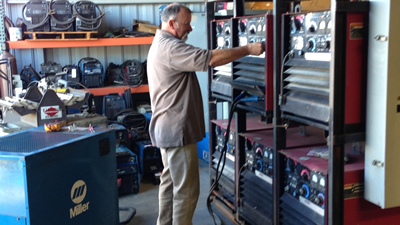 We hold warranty station status with all major cutting and welding equipment manufacturers and offer fast, easy turnaround to get you back up and running quickly. In addition, we offer replacement parts sales. We ship directly to you from our large inventory or drop ship from the factory. Second-day or next-day delivery available! Please visit our service-repair page for more information or call us at 858-565-6960 for immediate service. The image to the left lists only some of the manufacturers for whom R.J. Kates is an authorized representative. 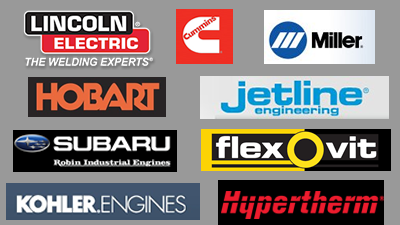 For a full list of which manufacturers we are factory authorized representatives, please visit this page. And if you don’t see your equipment’s manufacturer, please call us and check. We might still be able to help you.